Last week I started a series of Christmas Decoration Ideas. My first post was about The Classic Red style. The second one is the Scandinavian. So how about a nice and minimal look this year? Have you ever heard of the Scandinavian, also know as the Nordic style? 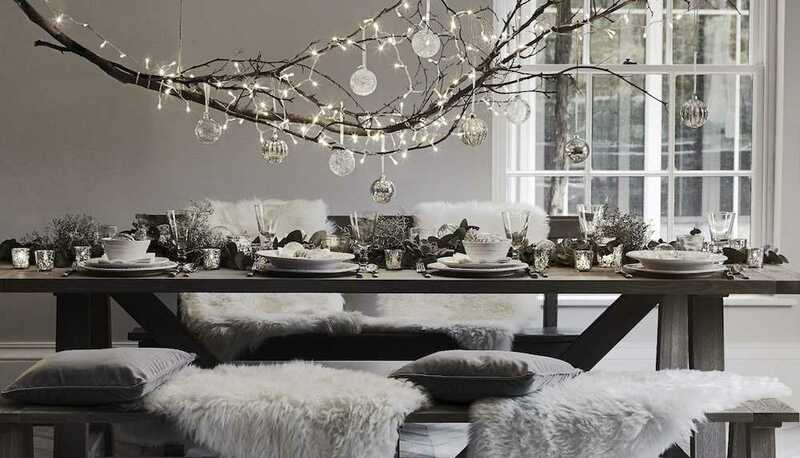 It is such a popular interior design style recently so why not incorporate it to your Christmas decoration as well? This style is very trendy and modern, often characterised by its rustic, cosy and minimalist features. The main colours are black and white, combined with wood, and other natural elements. Using wreaths made of pine leaves, rustic lanterns, pinecones, twigs and tree branches are also common. I collected some of the most beautiful and eye-catching Scandinavian Christmas decorating ideas for your inspiration. 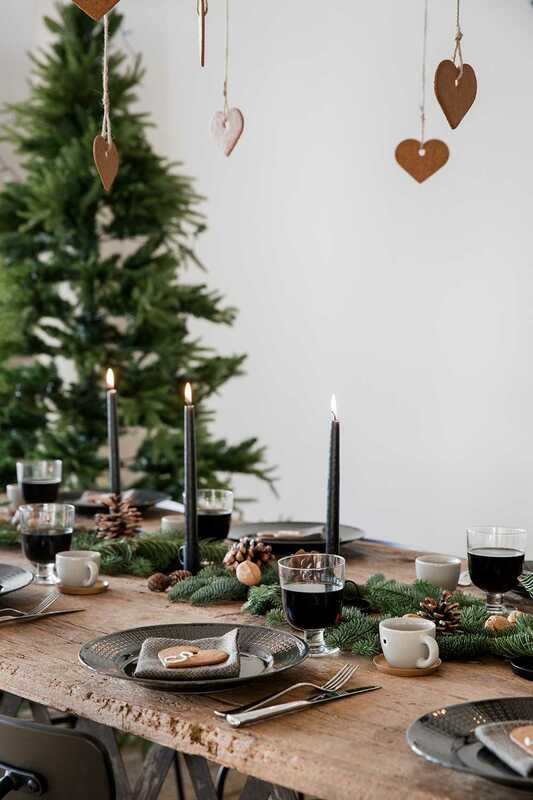 This simple table set with the rustic wood table, black plates, glasses, candles and pine tree branches look so welcoming and cosy. Who would not want to eat their Christmas meals here? 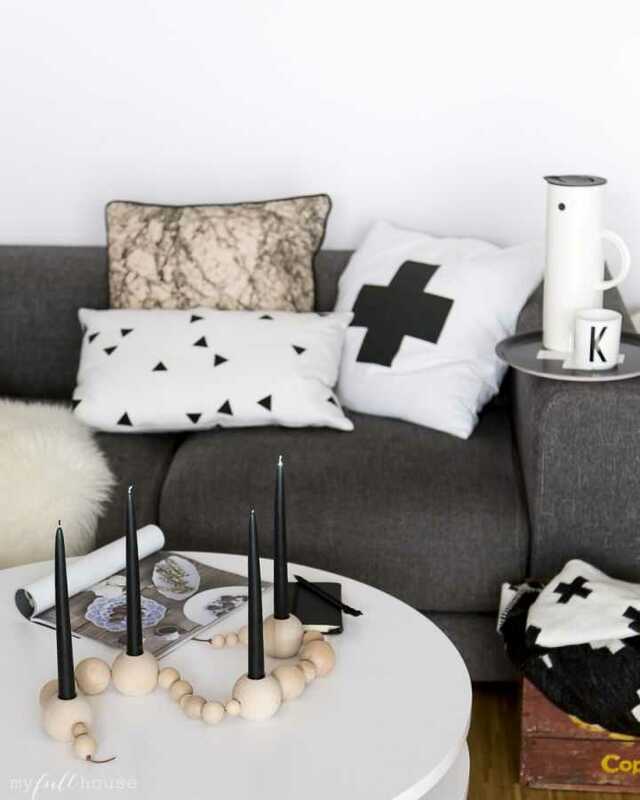 This is such a great example on how to decorate with minimalist effects: Long, thin candles in black, wooden round shaped candle holders, cosy throws and graphic pillows. Clean and inviting. Get out in the woods, get a long branch and decorate it with transparent or glittery ornaments, plus add some string lights. Hang it over your dining room table, add some cosy, furry pillows on the seats and it is all ready for the family to gather around. Do you need a simple centrepiece idea for your dining room or in hallway? Choose a glass dish, fill it with pine cones, and a white chunky candle. Put a vase with some branches and a porcelain deer next to it. 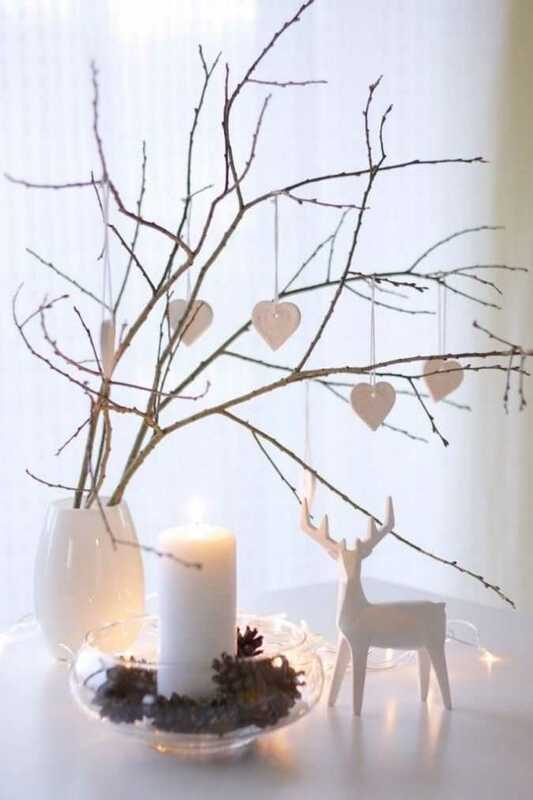 You can even decorate the branches with some small white heart shaped ornaments. It will look so sophisticated yet elegant. And to get the full Scandinavian Christmas feeling, why not try this recipe of their traditional mulled wine called the Glogg. Enjoy and ‘God Jul’ everyone! i love to decorate my home on all festivals & you have share really nice stuff too decorate my home this christmas. Thank you for sharing your idea.